Locality: Barranco Jaroso in southern Spain. 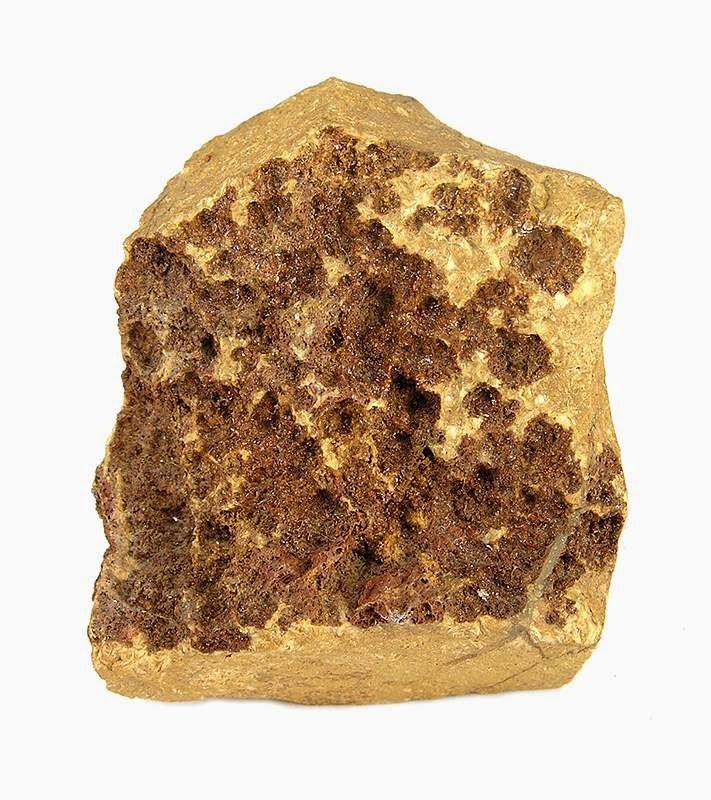 Jarosite is a basic hydrous sulfate of potassium and iron with a chemical formula of KFe3+ 3(SO4)2(OH)6. 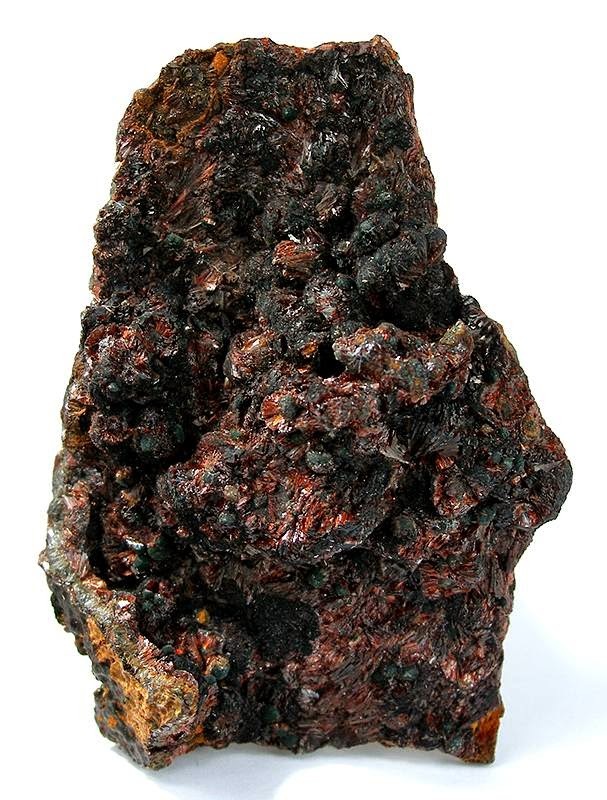 This sulfate mineral is formed in ore deposits by the oxidation of iron sulfides. 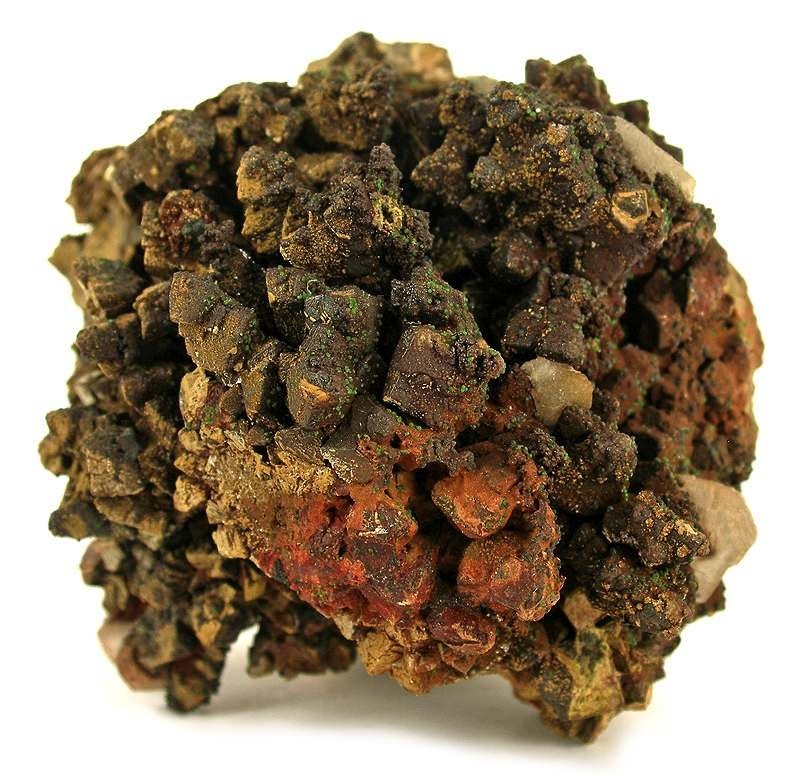 Jarosite is often produced as a byproduct during the purification and refining of zinc and is also commonly associated with acid mine drainage and acid sulfate soil environments. 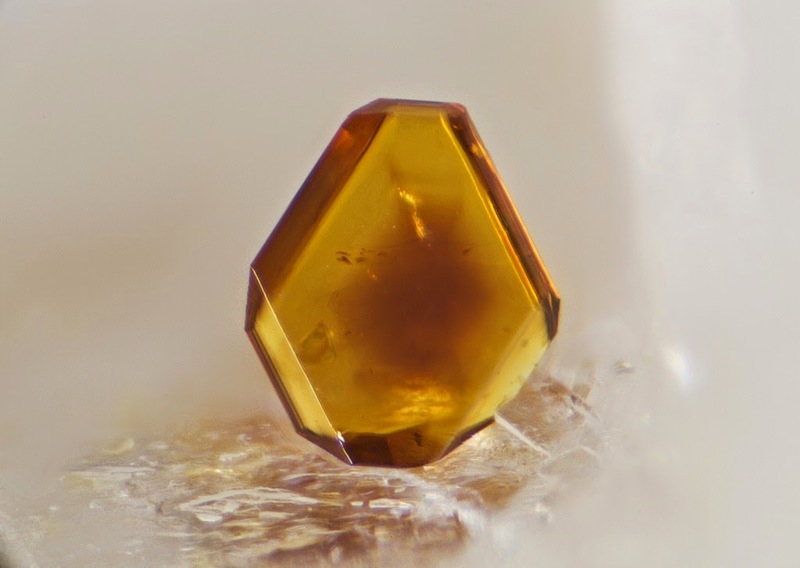 Jarosite was first described in 1852 by August Breithaupt in the Barranco del Jaroso in the Sierra Almagrera (near Los Lobos, Cuevas del Almanzora, Almería, Spain). The name jarosite is also directly derived from Jara, the Spanish name of a yellow flower that belongs to the genus cistus and grows in this sierra. The mineral and the flower have the same color. 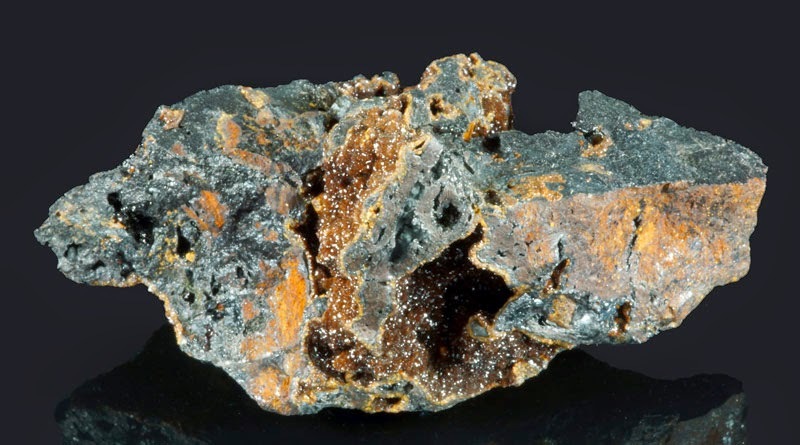 In 2004 jarosite was detected on Mars by a Mössbauer spectrometer on the MER-B rover, which has been interpreted as strong evidence that Mars once possessed large amounts of liquid water. Mysterious spheres of clay, 1.5 to 5 inches in diameter, covered with jarosite have recently been discovered beneath the Temple of the Feathered Serpent an ancient six level stepped pyramid 30 miles from Mexico City.